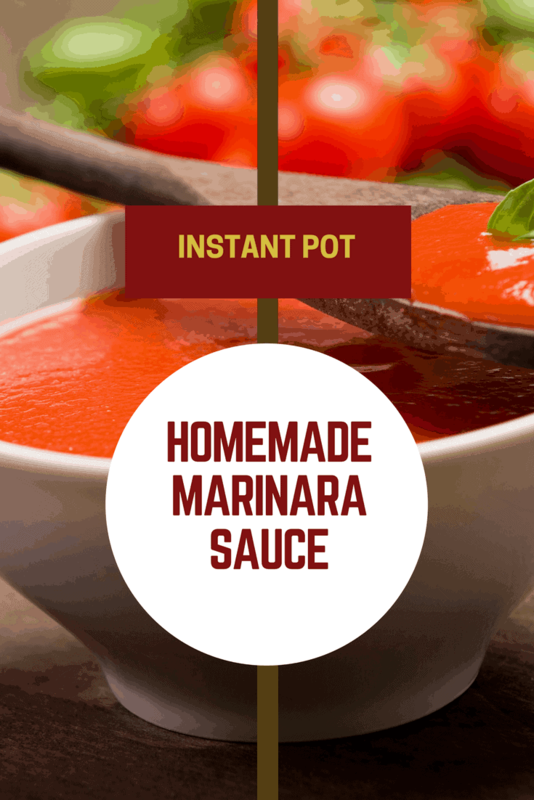 This is a great recipe, for homemade pasta (marinara sauce) it’s favorable and you can fool people into thinking you cooked all day. It’s a great recipe to pin, for those frantic fall days. It’s also a great way to use the summer’s bounty of tomatoes. At the end of the process. I used an immersion blender, to get the sauce nice and smooth, you do not need one, or need to make the sauce extra smooth, it will just be lumpy, but still full of flavor. Just remember to keep them moving in the pan, so they do not burn or stick. 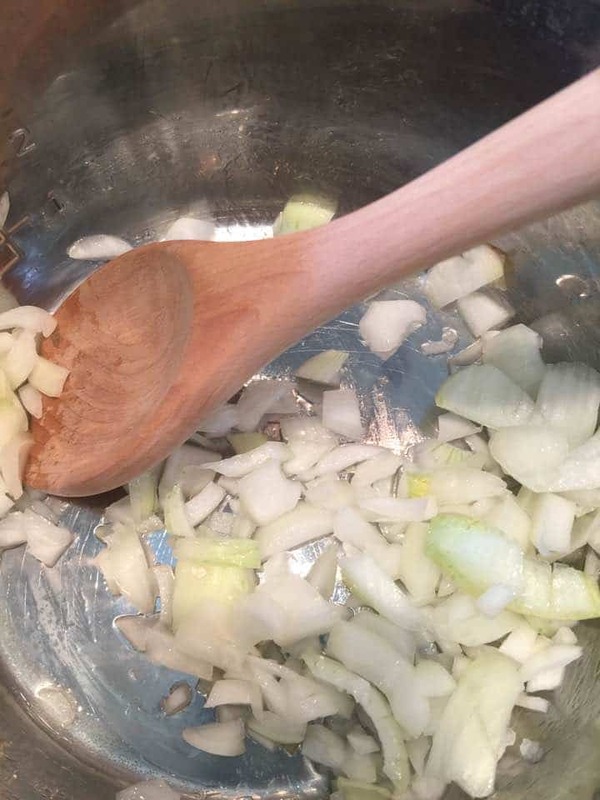 Then add the garlic, saute for about 30 seconds. 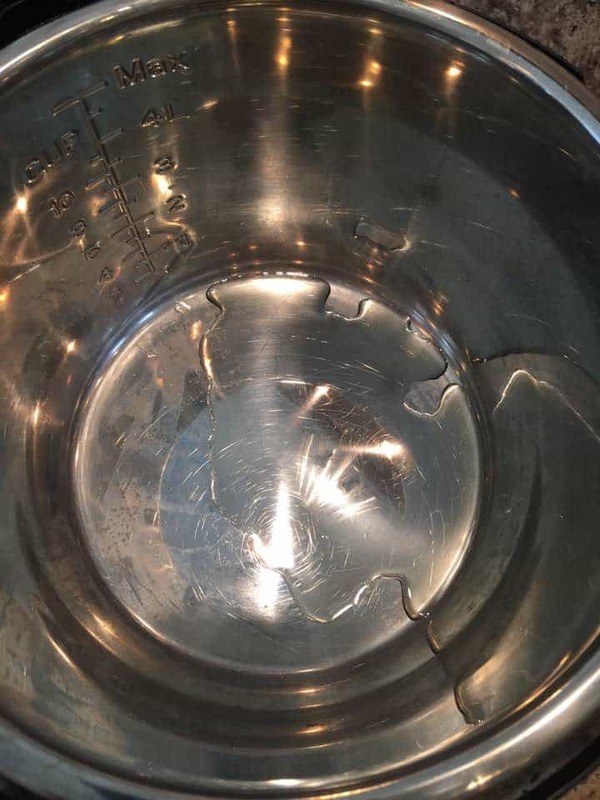 Place the cover on the Instant Pot, adjusting the valve to sealed. Using Manual High Pressure, adjust the time to 10 minutes. When the beep goes off, let it naturally release. Stir in the tomato paste and basil, to help it thicken. Serve with either pasta or spaghetti squash. 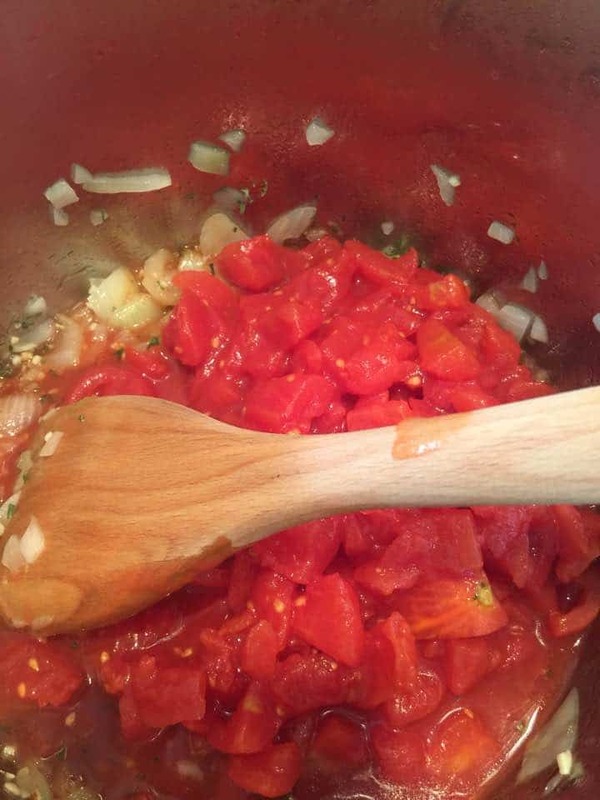 What are the measurements of the tomato paste and basil? They aren’t included in the ingredients list.